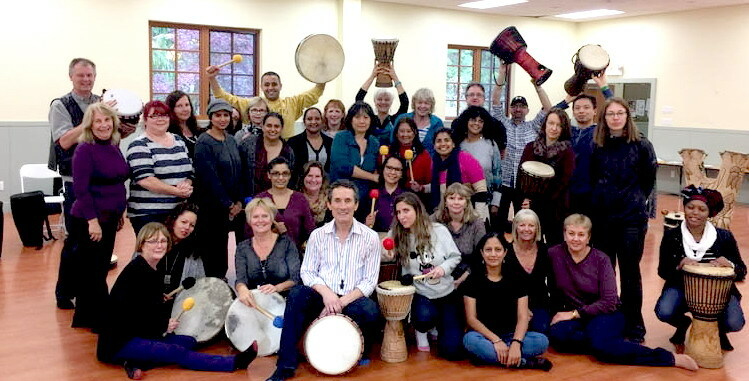 Thousands of people have participated in drumming circle workshops with Lyle Povah. "Your capacity for leadership was extraordinary - your experience and skills show up with beauty and love. Truly OUT-OF-THIS-WORLD day of integration and inspiration!" Chris Mann, Choir Member, 100 Voice "City Soul Choir"
Weekly Drum Circle Program with residents at the Looking Glass Residence for Eating Disorders"(the Drum Circle) brought me to the present moment, calmed my thoughts"